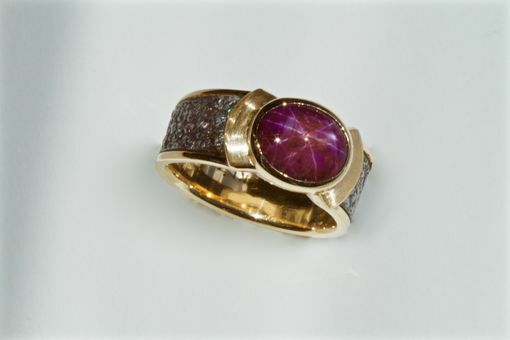 Deep plum red, Indian star ruby ladies ring. Hand fabricated in 14kt rose gold and forged stainless steel. This beautiful ring was had made in a size 8 1/4. The width is 9mm at the top and 7mm at the bottom.